Yesterday we were celebrating the arrival of Spring, and the children were taken on a walk through the local area to spot spring things. We looked for anything that was growing, and the children were very excited to be able to see all the plants and insects that have finally come out after a cold winter. This week, we took the Nursery children to the Muncyt Museum, where they have a great time exploring 'Nanoespacio' - the sensory room! 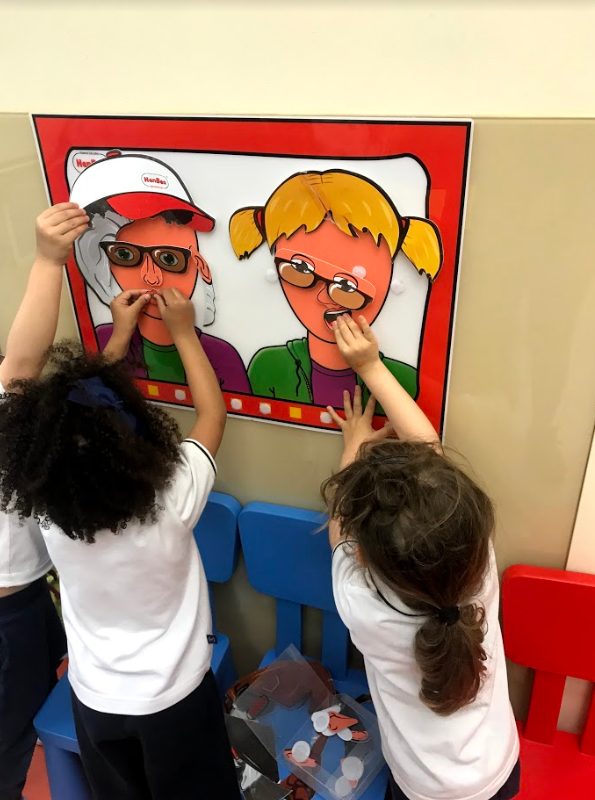 The children were able to investigate how our 5 senses work and began to relate them to different parts of the body, through various puzzles, games and challenges. For the past few months you've been sending in your video entries as part of our Reception, Year 1 and Year 2 Science Competition. Today we announced the winners - Congratulations Ishaan, Juan and Laura! Every video we saw was a delight to watch, and we'd like to thank everyone who took part. It was great seeing the children getting creative with science and showing off their favourite experiments. The lucky winners each received a chemistry kit, so that they may continue their experimenting! Today the children took part in 'The Daily Mile' to raise money for the Amigos de Nyumbani Charity. The children were sponsored by their parents to run as many laps as they could, earning money for each lap. We were very proud of what everyone managed to achieve, especially since it means helping children in less fortunate circumstances. Thank you to all our sponsors! Please read more about Amigos de Nyumbani to see exactly how you're helping! Today we celebrated our KIS Carnival. 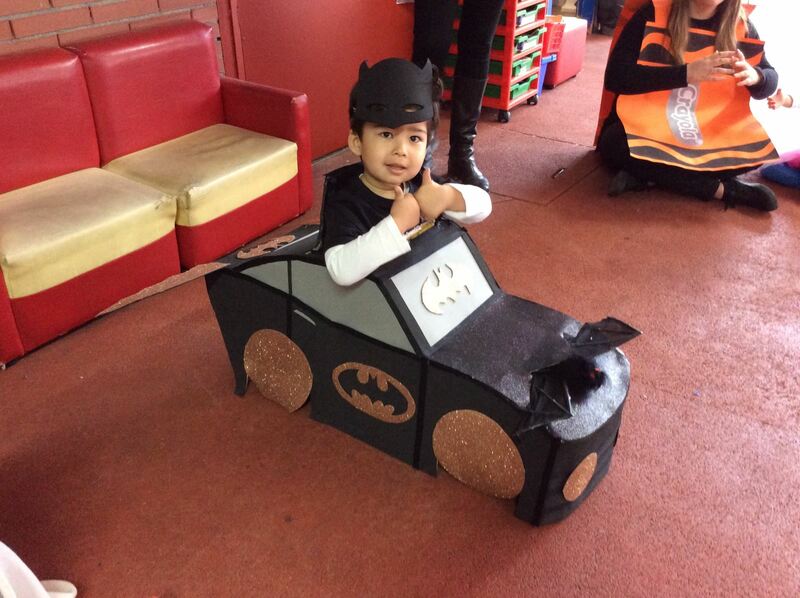 It was amazing to see all of our kids dressed up as their favourite characters. We chose some our favourite, and most creative home-made costumes to win a certificate, but we were impressed with everyone! The children enjoyed dancing, listening to music and getting into the spirit of Carnival. To find more pictures, please visit our social media. This week is Maths week at King's Infant School, and the kids are having lots of fun with the activities we have planned. 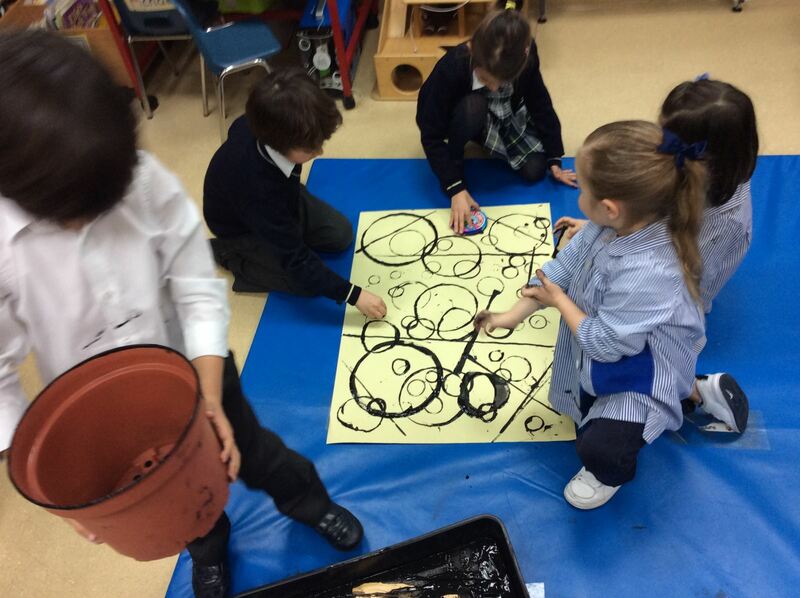 We wanted to show the children how maths can apply to art, through exploring lines and shapes. The older children worked together with the younger ones, and have created some beatiful art that we will display in the school! As homework this week, the Nursery children (with a little help from their parents, I'm sure) have made and tested some homemade boats. Their challenge was not just to make a boat that was nicely decorated, but also to make a boat that really floated. After testing their boats, the children learned which ways worked best - and which ways didnt work so well! Well done Nursery! This week saw the completion of KIS street - a joint project from the Year 2 and Nursery. The older children were partnered with a younger child, and the pairs set to work designing and building their homes for KIS street. This was a great way for our older children to learn how to teach and show others what they know, and the younger kids benefitted from having a pair of helping hands to bring their imagination to life. We're very proud of what they have created, and urge parents to have a look when they are next passing through. This week, our Dragons have been helping make our top patio look even more beautiful by adding some new plants! We transformed some old pallets into a multi-level planter. A big thank you to all the kids who helped out. Please come and have a look when you next pass through! This week we have been preparing the school for our 50th Anniversary Celebration. Our House Captains were fantastic at demonstrating exactly how our pupils should be. This year we buried a time capsule, to be opened in 25 years time. All the kids contributed a small piece of work to be unearthed by the children of the future. We hope the next 25 years will be just as successful as the first 50! Thank you to everyone who contributed. If you wish to see more photos of the event, please follow our social media accounts! Today is the Chinese New Year, and we are beginning the year of the Pig. Each class have been exploring parts of the chinese culture through various activites. They've been making lanterns, writing in chinese and learning about the Zodiac. Let's hope this year is prosperous for everyone here at KIS! Happy New Year! This year is very special for King's Group, as it marks our 50th anniversary. We are very proud to now be spread across 5 different countries around the world. Hopefully we continue expanding, allowing students all around the world the opportunity to study at King's College. We have a lot in store for this year, so keep an eye out for our 50th anniversary events! This terms sees the start of the French club, which takes place every Monday, from 4.30 - 6. We would love as many children as possible to sign up. Children can pick up langauges much more easily than adults, so its a great opportunity to give them a passion for languages, which could be invaluable later in life. Please enquire at the office if you are interested! A big congratulations to this term's new house captains! They will be responsible for setting a good example for every other student in the school, as well as letting their teachers know how we can improve the school. From Bears class - María Cristina, Lucas, Nicolas, Elias, and Lucia A and Lucia C. From Dragons class - Amelia and Victoria. We wish them the best of luck! This week, the Year 1 and 2 children in our wednesday afternoon Clay Club have finished designing and creating their boxes! Using clay in the classroom develops fine motor skills and hand eye coordination, and studies have shown that this can then affect academic performance later on in their life. To read more about the benefits of clay, please follow the link in the article.